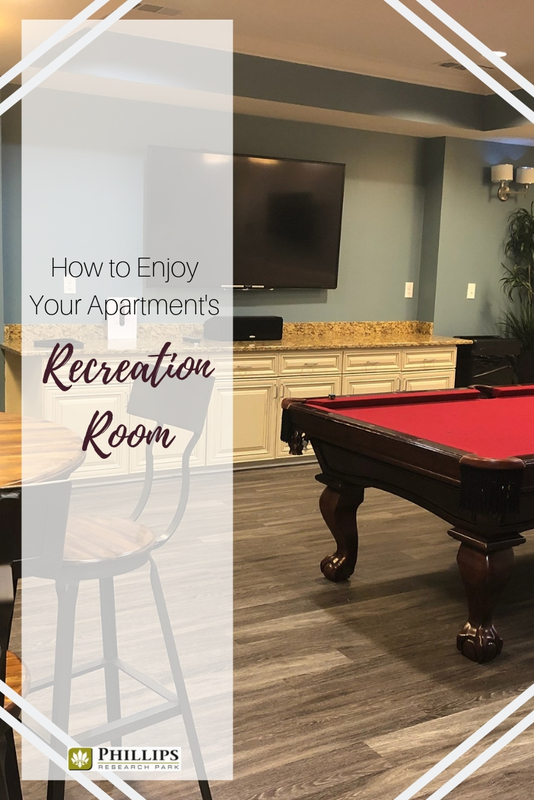 Your Durham apartments are packed to the brim with amenities, but there is one amenity that seems to get forgotten: the recreation room. Between the pool, fitness center and amazing floorplans, it is easy to see how the recreation room can get lost in the shuffle. However, we want to remind everyone of all the awesome reasons why it is definitely a spot that you should be utilizing. It is conveniently located in the clubhouse, and it is a spot that is meant for everyone to share and enjoy! Sure, you can hang out in your own apartment and watch TV, but can you hang out in your apartment and watch six TVs? But seriously, there are plenty of televisions in the recreation room to go around. So, the next time your significant other is watching a scary movie and you want to watch reality TV shows, take a walk down to the clubhouse! You can also organize a community watch party! Get a group of neighbors together to watch a collectively loved show. You can even make it a whole thing. Here are some tips on creating a viewing party for The Bachelor, but you can get creative with any show you prefer. Did you know that you could play pool without ever leaving your Durham apartments? Yep! The recreation room has a high-quality pool table ready and waiting for you to come and play a game or two. Everything you need has already been provided: cues, balls, chalk! Not sure how the game is played? Check out this easy tutorial. You will be ready for the pro-circuit before you know it. Hanging out in the recreation room and playing a little pool is a fun way to have a night out without actually having to go out! You can let the kids watch a movie on one of the TVs while the grown-ups challenge each other to a game of eight ball. No babysitter needed. Use the pub table located in the recreation room to get your game on. Neighbors can challenge neighbors to a friendly (or not so friendly) game of monopoly or scrabble, whatever game you prefer can be brought to the clubhouse for a battle. There are a few games already supplied to get the party started, but there are so many more to be explored. Organize your very own Durham apartments game night and get the party started. Board games aren't only for kids, you know? Here is a list of fourteen fun games that are meant to be played by grown-ups. Baby Showers - A new baby is always something to celebrate, but there are usually more people invited to the festivities than will comfortably fit in even the most spacious apartment. The recreation room has the space you need to play those silly shower games. Birthday Party – No matter the age of the birthday boy or girl, a birthday party is always a fun time to celebrate. Milestone years usually tend to bring out the extended friends and family, and you will need plenty of space for everyone to mingle and have a good time. 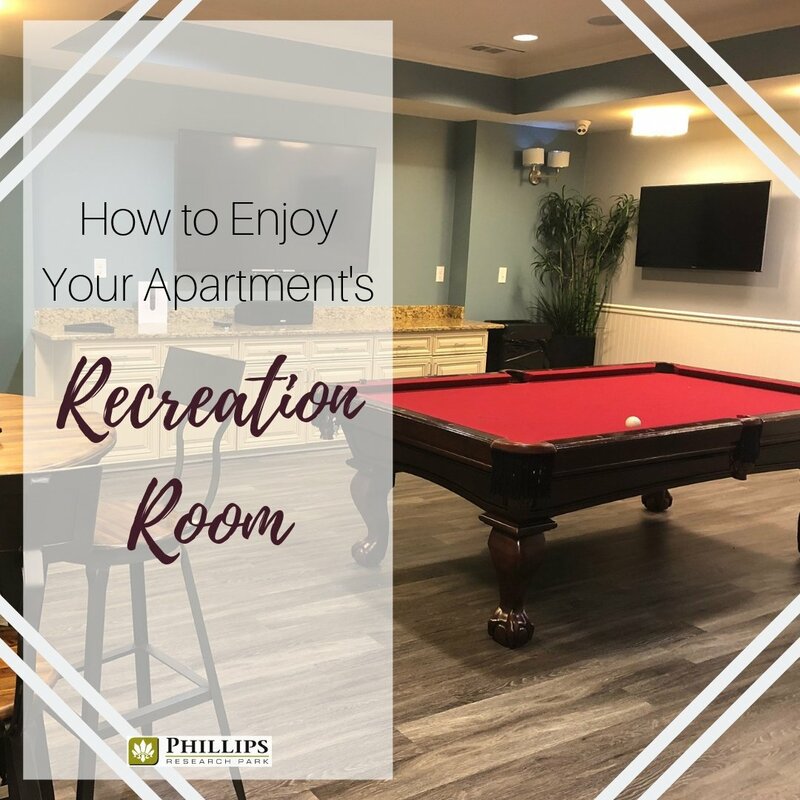 Your Durham apartment's recreation room can give you that space you need. That space will be especially helpful if you hire a party entertainer like a princess or a clown! Retirement Party – Finally getting to put your working years behind you is definitely something that needs acknowledgment. Let everyone help you bid bon voyage to your corporate life by hosting the party in a big, casual space. You can go all out with the decor and really make a big impression. Big Game - If you want to have a tailgating style party for a big game like the Super Bowl, but you have more friends than will fit in your Durham apartment living room, consider renting the recreation room. You can put the game up on the big TV and have plenty of room for your snacks. Everyone can cheer and jeer to their heart's content. Engagement Party – Starting a new chapter, like marriage, in your life is definitely a milestone worth celebrating. Share the good news with all your friends and family at once by renting out the recreation center in your Durham apartments. If you really want to make it special, you can hire a caterer like Durham Catering to provide the culinary goodies. Now that you know about all the fun that can be had, you are probably dying to get down to the clubhouse and check this spot out, right? Well, don't be shy, come and play at your Durham apartment's recreation room today!